The Washington Chapter of the American Society of Landscape Architects recently announced the winners of its biennial awards program. The awards honor general design, residential design, planning and analysis, research and communication, and works in progress. The competition is open to landscape architects registered in Washington. Projects may be in or out of state. Forty-three projects designed by Washington landscape architectural firms were submitted and 14 received awards. 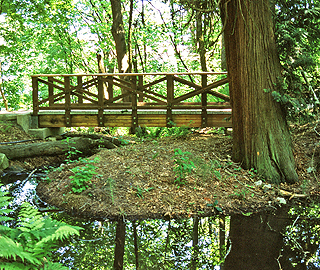 Description: Transformation of 10-plus acres of a neglected natural area in Madrona Park into a healthy native forest with trails, waterfalls and natural creek channels flowing to Lake Washington. Consultants: Sparling, Davis Langdon, Shannon & Wilson, Vicki Morris Consulting, Bartlett Design Co. Description: An education facility for the study of wetland ecosystems. 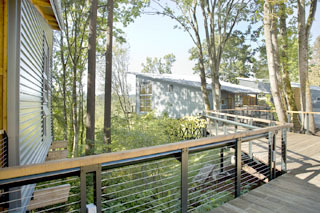 The LEED gold center immerses students in a thriving wetland, while exhibiting ways to help keep it intact. Landscape architect and civil engineer: SvR Design Co. Description: Carved out of an abandoned parking lot, the channel is a stormwater treatment facility and public open space in an urban center. 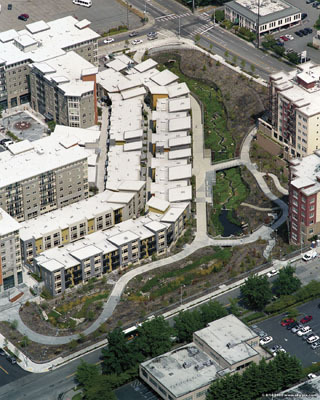 It treats pollutants from runoff, enhances the community, and offers a respite with plantings and flowing water. 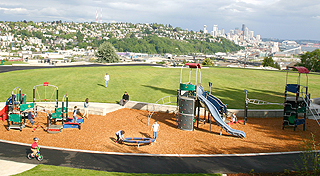 Description: Ella Bailey Park was a derelict, 2.4-acre asphalt playfield with one defining asset: a stunning panoramic view of the Cascade Mountains, downtown Seattle, Mount Rainier and Elliott Bay. The park now has a view promenade, an acre of open space, a playground, community gardens and improved access to the neighborhood. Description: The project transformed an austere freeway-like street in downtown Seattle into a multi-use corridor with open space. 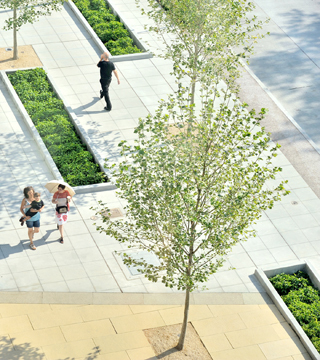 A linear plaza captures stormwater in rain gardens, provides space for pedestrians and bicyclists, and helps create a sense of space. Description: Inspired by the emotions captured in photographs of the first internees destined for concentration camps, the memorial is designed to evoke feelings Japanese-Americans endured that day. 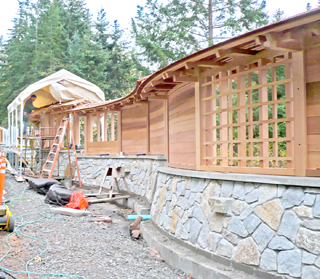 It includes a 276-foot-long "Story Wall," with one foot for each of the 276 Japanese Americans who were living on Bainbridge Island at the start of the war. Description: In the 1970s, Redmond acquired properties along the Bear and Evans Creek valleys, straddling Redmond and unincorporated King County. The East Redmond Corridor master plan envisions those seven properties as a system of parks and trails. Description: It shows the benefits of the Green Factor, the nation's first program that requires green strategies for a planning permit. The program was introduced through the Seattle Department of Planning and Development in 2007. It is modeled after the Berlin Biotope Area Factor in Berlin, Germany, and green programs in Malmo, Sweden. Landscape architect: SvR Design Co.